COMPETITION: The best Community episodes and your chance to win season 6! The fans of Community heroically saved the series from cancellation in 2014, when NBC announced its cancellation of the show. With help from fan campaigns and streaming service Yahoo Screen, Community rose from the ashes for season six. The reason for fan dedication is clear: there is no show on television more meta, innovative and culturally on it. Oh, and it’s hilarious to boot. Jeff organises a plan to ensure the study group always has first dibs at the coveted cafeteria fried chicken, but this quickly transforms into a full scale mafia-style operation run by Abed. The students at Greendale take part in a devastating paintball war after the Dean reveals the last one standing will get advance registration for the next semester (read: the opportunity to organise all classes to be on a Monday). Every man and woman is out for themselves, in this hilarious action-film parody. Jeff rolls a die at Abed and Troy’s housewarming party to choose who will go downstairs to get the pizza, prompting Abed to propose there are seven different timelines where each member of the group collects the pizza. Commence seven very different (and crazy) timelines. Pierce must complete a video game designed by his bitter father in order to claim his inheritance, alongside his friends and his father’s seemingly jealous assistant. Jeff and the group (plus Chang, minus Pierce) play a game of Dungeons & Dragons in order to help a student with low self-esteem feel better about himself, complete with a Galadriel-style narrator. Whether your rallying cry is “six seasons and a movie” or you’ve just watched the above clips for the first time ever, we’re offering you the chance to win one of three DVD boxsets of Community season 6. For your chance to win, all you have to do is vote for your favourite episode below and leave your email. There’s no right answer – it’s easy peasy. This competition is now closed. Only open to UK applicants. The winner will be selected at random from all entries. Please see full Terms and Conditions here. Community: season six is released on DVD on March 21 and is available to pre-order now. It looks like we might get six seasons and a movie after all. Joel plays Jeff Winger in the cult hit series, originally a former lawyer forced to obtain a law degree at community college after his employers discovered he lied about his qualifications when applying for the job. 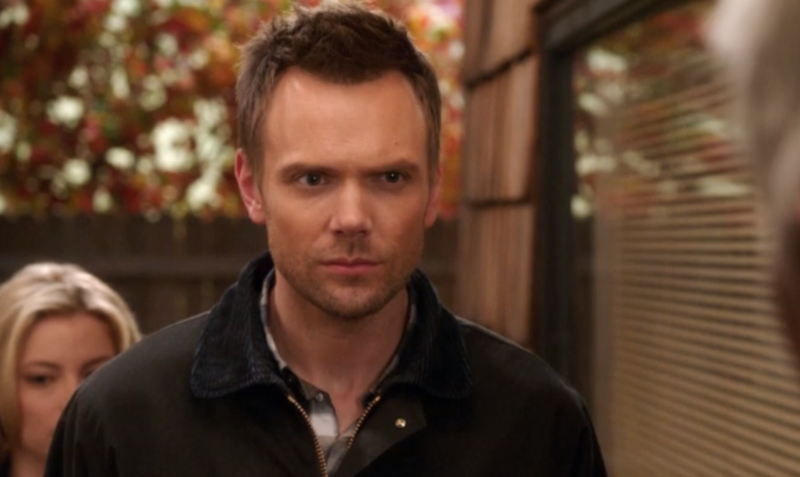 Community, despite attracting a large cult following, was never a massive ratings draw and was cancelled after its fifth season by NBC. After a strong fan reaction to the axe, it was picked up for a sixth season by Yahoo Screen in a $2 billion deal. Community airs on Sony Entertainment Television in the UK.